Marisa Tellez was born in Los Angeles, California to Mexican American parents. She grew up in Rosemead, a suburb in the San Gabriel Valley, where she attended school and majored in English until graduating high school at the age of 17. Bored of 9 to 5 office jobs, Marisa took a leap into the entertainment world, landing work on such shows as “It’s Always Sunny in Philadelphia”, “America’s Next Top Model”, “Dancing with the Stars”, as well as MTV’s “Punk’d, and “Nitro Circus”. Although working on the set of these shows was exciting, their grueling production schedules left little time for Marisa’s childhood passion, writing. After seven years of freelancing, she left the world of television. 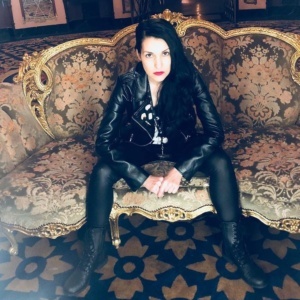 It wasn’t long before she joined the gaming industry as a Production Manager for a prestigious video game marketing company and began writing her first full length novel, Rock and Roll High School: Growing Up in Hollywood During the Decade of Decadence, which was released in December 2012. Rock and Roll High School is based off Marisa’s personal journals and has been featured in magazines such as LA Weekly and Music Connection. The book chronicles her life as a misfit teenager when she discovers the Sunset Strip music scene during it’s most promiscuous reign in the 1980s. Also included in the book are interviews with several prominent bands who ruled the Strip during that era. Marisa still resides in Southern California and completed the sequel to ‘Rock and Roll High School’ titled, ‘Walking Contradiction: The Crackpot Chronicles’, which was released in August of 2014. She is currently collaborating on an untitled comic book with a tentative release date of Spring 2019.